This year Guilford College, where I work, has a superhero theme for our orientation. The students chose the quote above to go on the back of one of the shirts. 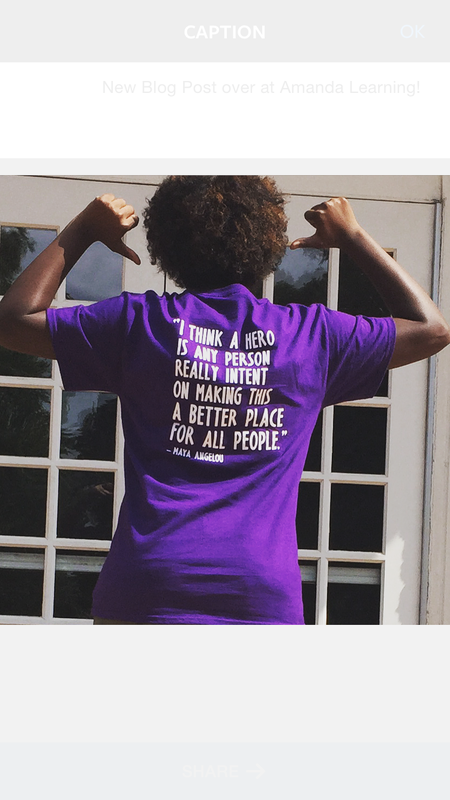 This Maya Angelou quote really got me thinking about what it means to be a hero. As Student Affairs professionals it is easy for us to try to be superheroes. From working late nights and during days off a lot of us strive to always be available and even feel guilty when we are not. Swooping in to save the day when we see a student in need. But even Superman has his Fortress of Solitude and Bat man has to spend time as Bruce Wayne. As I begin my 2nd year of grad school I am already feeling spread thin. I’m sure that I am not alone. Between class, work, internship, research, job search, and some nebulous thing called a “social life,” it is very easy to forget about taking those moments to take care of yourself. So let’s challenge the conventional thinking of the word superhero. Let us be superheroes by setting the example of taking a break from work before we are desperate for one. Let us be superheroes by encouraging others to take care of themselves when we see they may not be at their best. Let us be superheroes by striving to make every place you inhabit a great place for others. Good luck this semester and know that you are a superhero even if you go home when you are supposed to, wait to answer that email in the morning, or tell someone no.